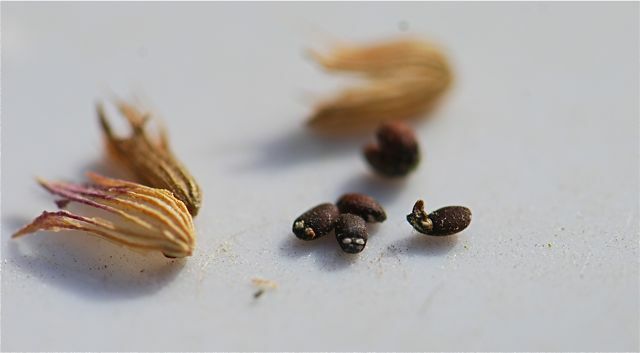 These little sand-grain sized seeds are found with a calyx in a cluster. When you pull the cluster apart, they have two little white marks that look like eyes. 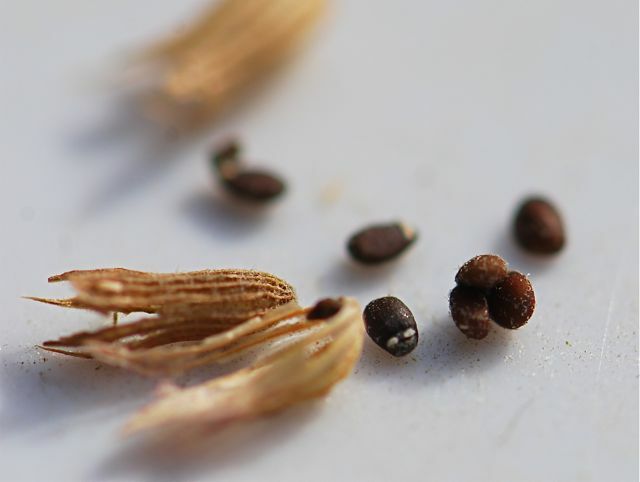 These seeds will grow into a plant that is used more by other animals, rather than humans. Any guesses what that plant might be?